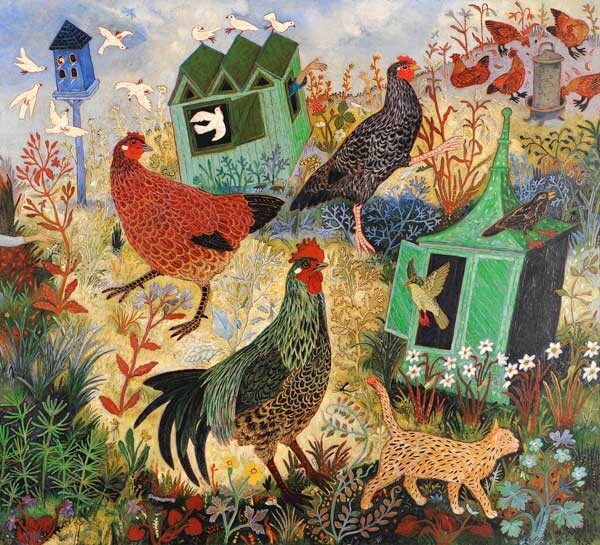 'Feeding the Hens' by Anna Pugh, Image Size 495 x 450mm / Mounted, 715 x 690mm. Giclée Print [ed. size 95, signed] Available as mounted only, £399 or framed (please contact gallery for framing costs and options).